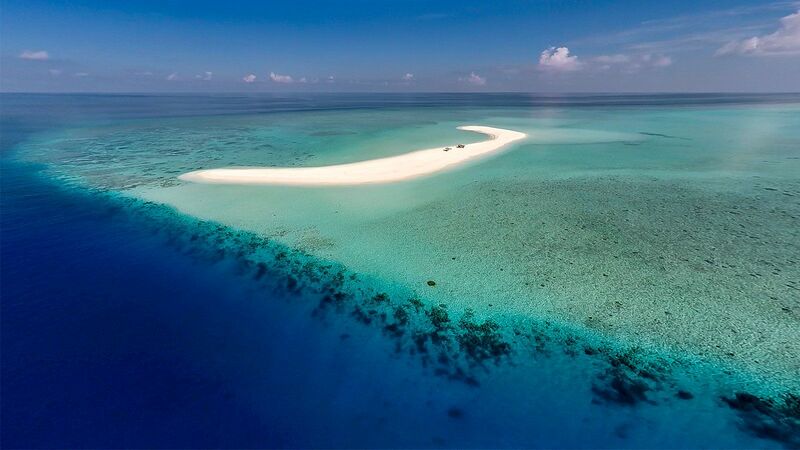 The romantic adults-only retreat of Komandoo island resort is a small island paradise of emerald palms, white sands and turquoise lagoons, found in the north of Lhaviyani Atoll, Maldives. Guests travelling to Komandoo should prepare for the scene that will unfold during their 40-minute seaplane transfer from Male’ International Airport (MLE) with Trans Maldivian Airways. The much-photographed view of the tiny islands strung across the Indian Ocean is one of the most awe-inspiring sights you can ever hope to behold. The 1,192 islands spanning the Equator are seen in all their glory from the sky and the different shades of blue, turquoise and aquamarine blend seamlessly as the reefs below the surface vary in depth. The Maldives’ fortunate position means the islands are bestowed with a generous quota of sunshine and can be visited year round. 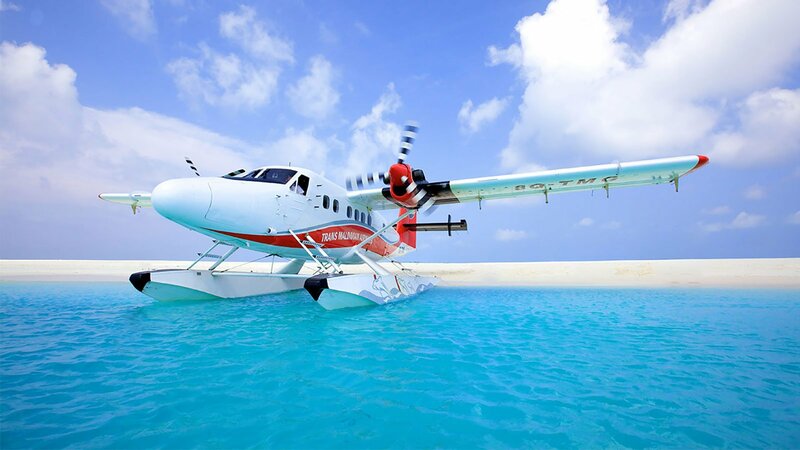 The transfer to Komandoo will be a journey to be remembered, there is nothing quite like a scenic seaplane trip to kick-start your holiday in the Maldives! Soaring through the skies and looking down at the island utopias that make up this island nation is a mind-blowing experience. Originally called Hummingbird Island Helicopters, Trans Maldivian Airways (TMA) is the oldest and, in many ways the most experienced air transfer operator in the Maldives. TMA, the world’s largest seaplane operator, takes pride in its own seaplane terminal at Velana International International Airport in Malé with 9 exclusive Resort Lounges and a fleet of air-conditioned buses and baggage vehicles for inter-airport transfers. What is the luggage allowance for the seaplane? The allowance for checked-in luggage is 20 kilos and hand carry is 5 kilos per person; above which there is an excess charge of US$5.00 per kilo. In extraordinary circumstances, luggage may be transported by a later flight (policies & procedures as per TMA regulations). If my international flight is late will my transfer wait? Transfers are allocated upon arrival of international flights so transfers are not missed, Trans Maldivian Airways operate during daylight hours and guests arriving during the day will be allocated a same-day transfer. Are refreshments available on the seaplane? Refreshments are available in the terminal building but not served during the short flight. How long will I have to wait for my transfer? Komandoo and Trans Maldivian Airways work closely together to ensure that any waiting time at Komandoo’s comfortable seaplane lounge is kept as short as possible. Do the seaplanes fly all day? Seaplanes operate during daylight hours only, i.e. 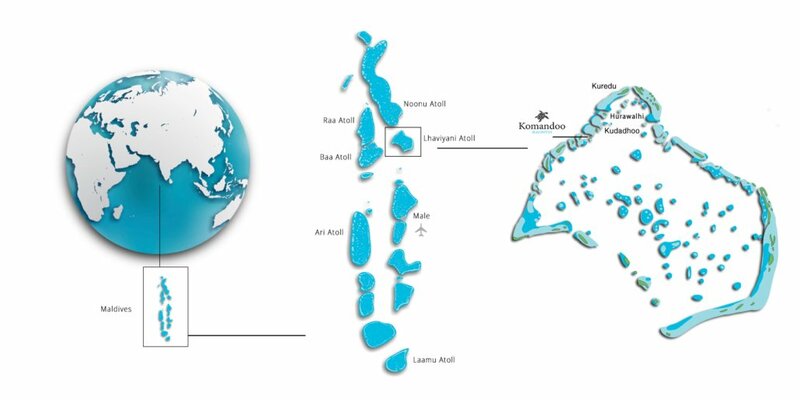 between approximately 06h00 and 18h00 (local Maldivian time). 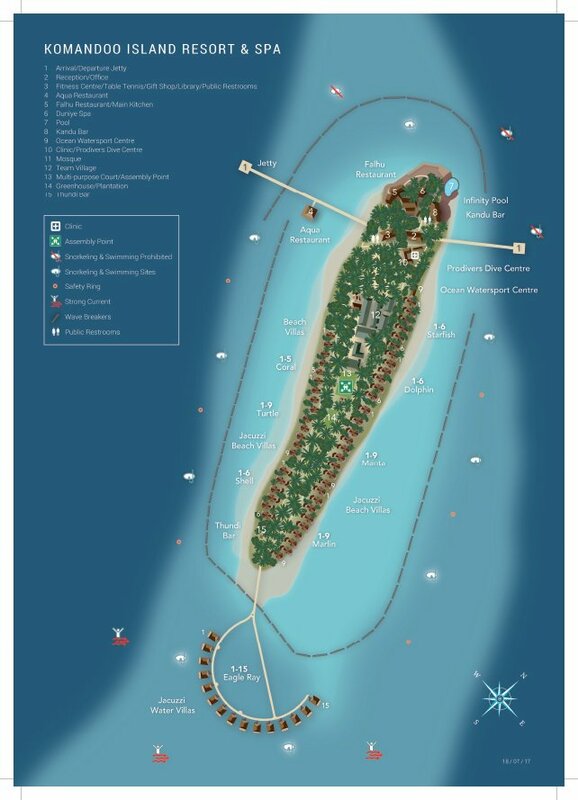 Guests arriving on an international flight that cannot connect to the last seaplane of the day to Komandoo (usually departing no later than approximately 16h00) may choose to overnight in nearby Male’ at their own cost. Is seaplane transfer included in the villa rate? Seaplane transfer is not included in the villa rate. You can find the price of a return seaplane transfer in the booking engine on our website, or by consulting your travel agent.